I don’t usually take pictures in washrooms—public or otherwise—but I couldn’t resist this interpretation of hand-drying symbols. Oh, so that was YOU! What a great idea! I would eat it! 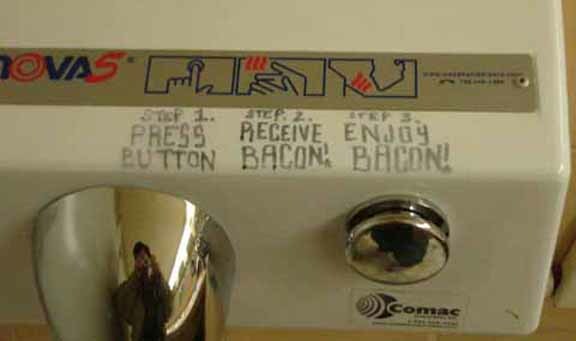 Although receiving and enjoying bacon sounds like a tasty idea, I would hesitate to eat anything served in a public washroom. Guys… it’s just a lot of hot air. 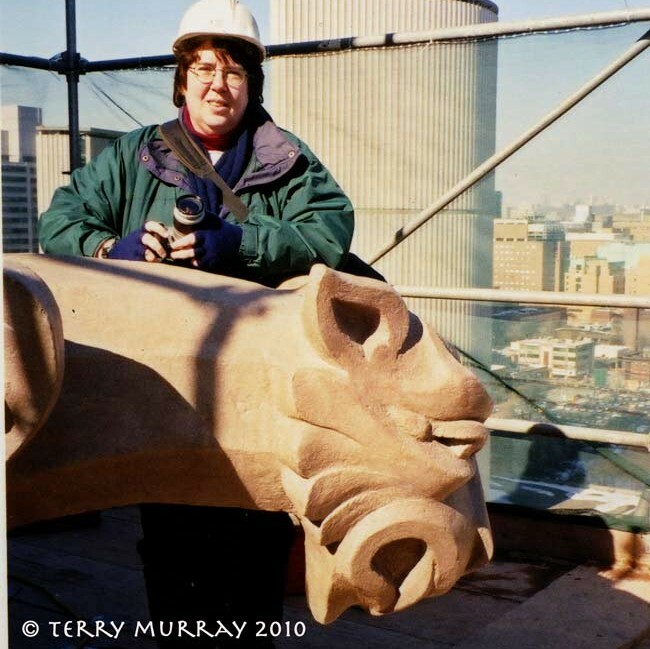 Thanks for your comment – now I know who Terry the Canuck is! I’ve been enjoying your comments on Walt’s blog for quite a while!